Well, mostly, I’ve been working on school. What with four classes, I’m a bit busy at the moment. But when I’m not doing that, I am still making jewelry. Still haven’t sold any from the Artfire shop, but jewelry making is something of a reprieve from real-world work for me, plus it’s fun! I haven’t made any more contest pieces, but I have entered the Art with Heart Cycle 2 contest, and the kit looks great! I should get the kit sometime next week. I’ve made a number of key chains in the last few weeks. Those were fun. 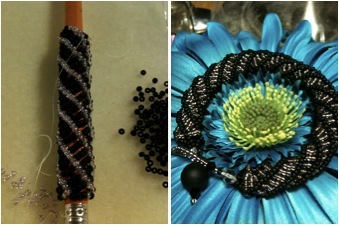 Actually, I made the first of the key chains ages ago, but they didn’t work out to well. At least, not yet. 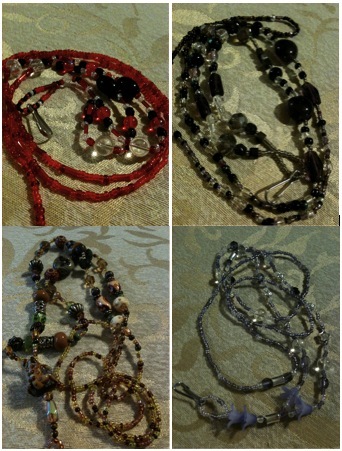 I’m not quire ready to give up on that idea–key chain bracelets. You know, to make things easier when your hands are full. So when that fell through (or, more properly, fell apart), I made the first of the more traditional key chains I’ve been working on. 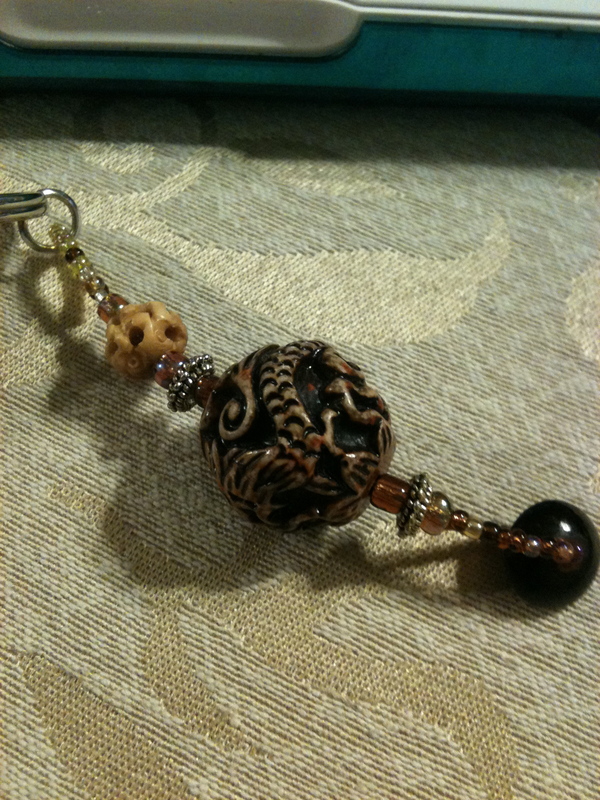 The first of the "real" key chains. This is mine, with a Chinese dragon focal. On the left, Loving Giraffes, in the center, the Lion!, and on the right, a pretty keychain I made with a fancy jasper nugget, and the Oraphant. Since those lanyards, I’ve made a few more, and I’m actually designing one for my best friend now (who just got a new job, go Ame’s! ), and I have a plan I want to try for my other BF–Sara the nurse. So there ya have it–the major projects I’ve been working on… School’s out in about a month, so I’m hoping to have more time to work on some things. I have a lot of ideas floating around inside my head, and they tend to not leave me alone until I get them created. Very annoying….